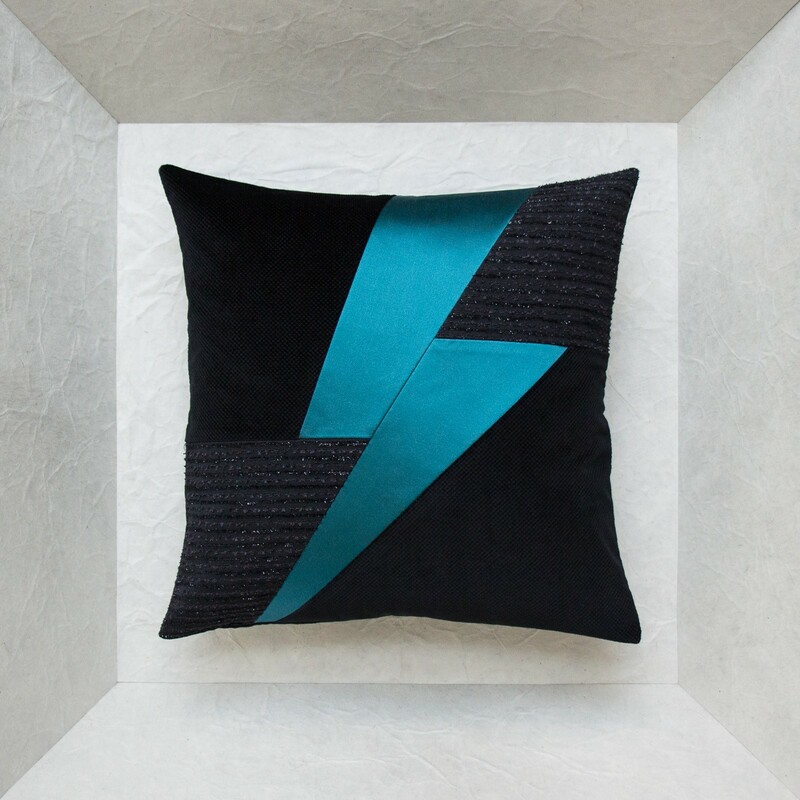 These unique cushions have a gift for adapting. 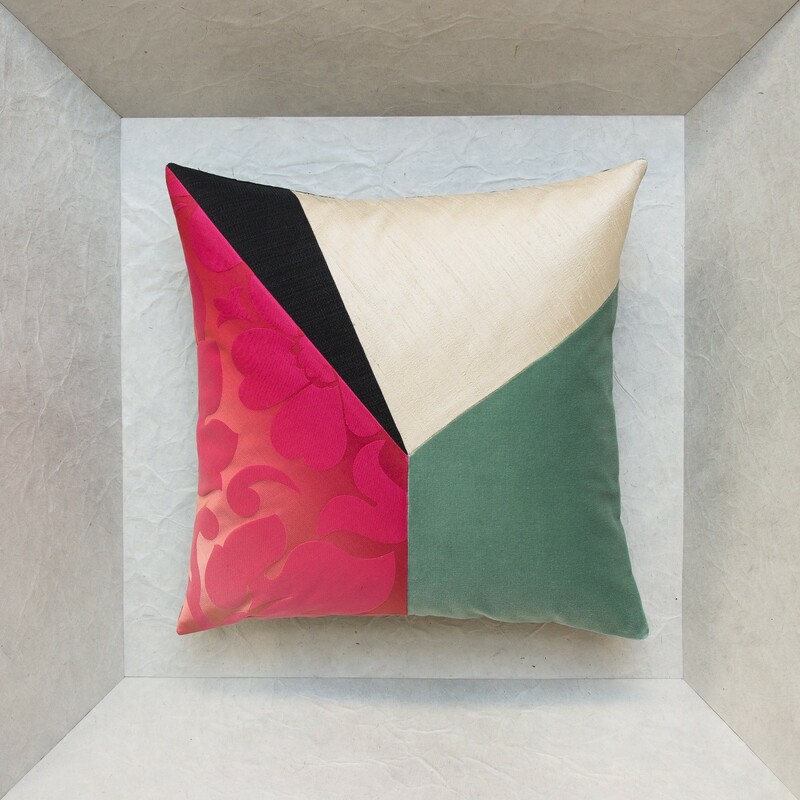 Follow your whims and combine them according to size, design, style or fabrics and you will always create harmonious combinations for a charming interior. 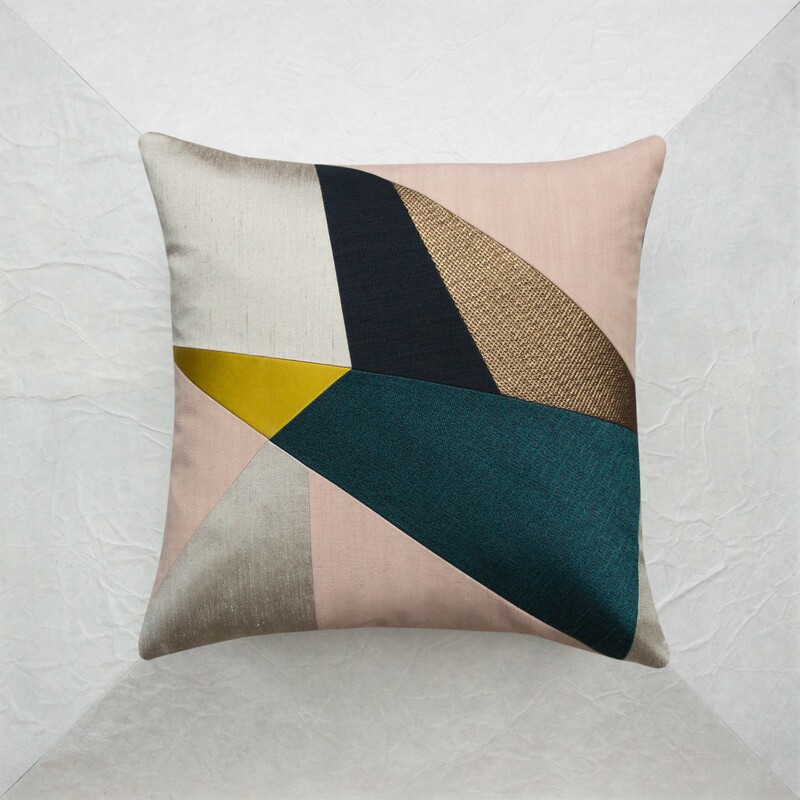 The original designs with delicate shades of pink and geometric lines fit in perfectly with all styles. 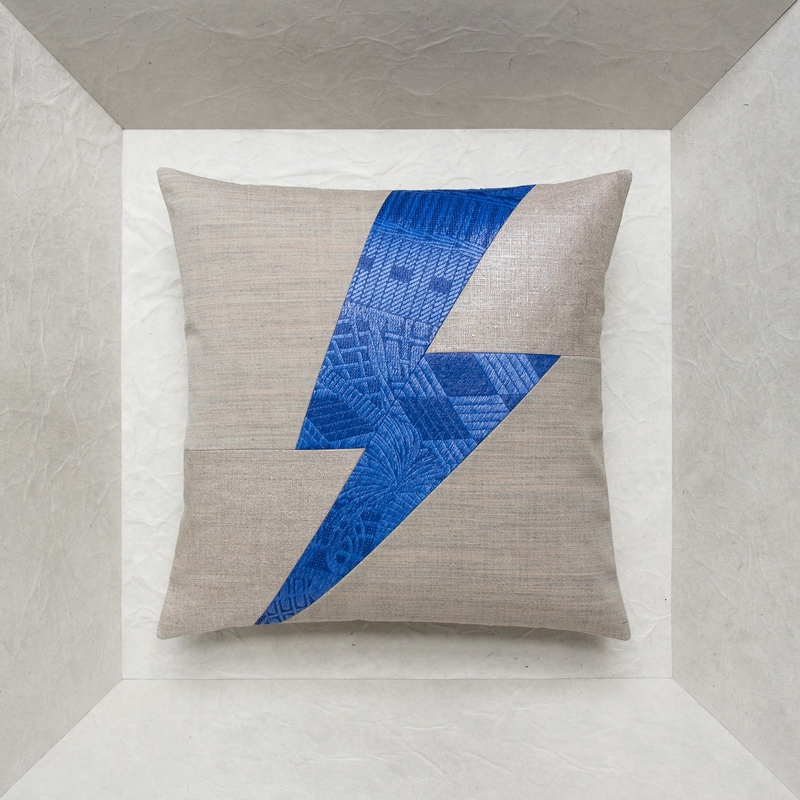 Choose a 40x40 lightning cushion and combine it with a 45x45 alphabet cushion then add two 30x45 cushions for structure to transform your sofa. 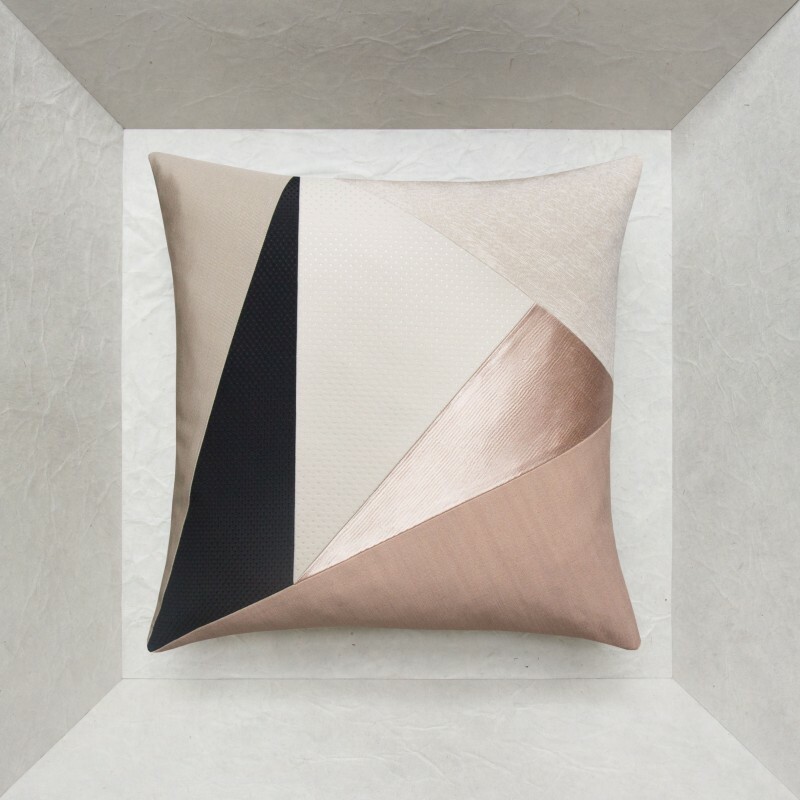 The combination of vintage fabrics with modern materials speaks volumes about your eye for detail and your sense of delicate harmony. Mix and match as you please, all of the displayed models can be combined flawlessly. Anything goes, your inspiration is what counts. 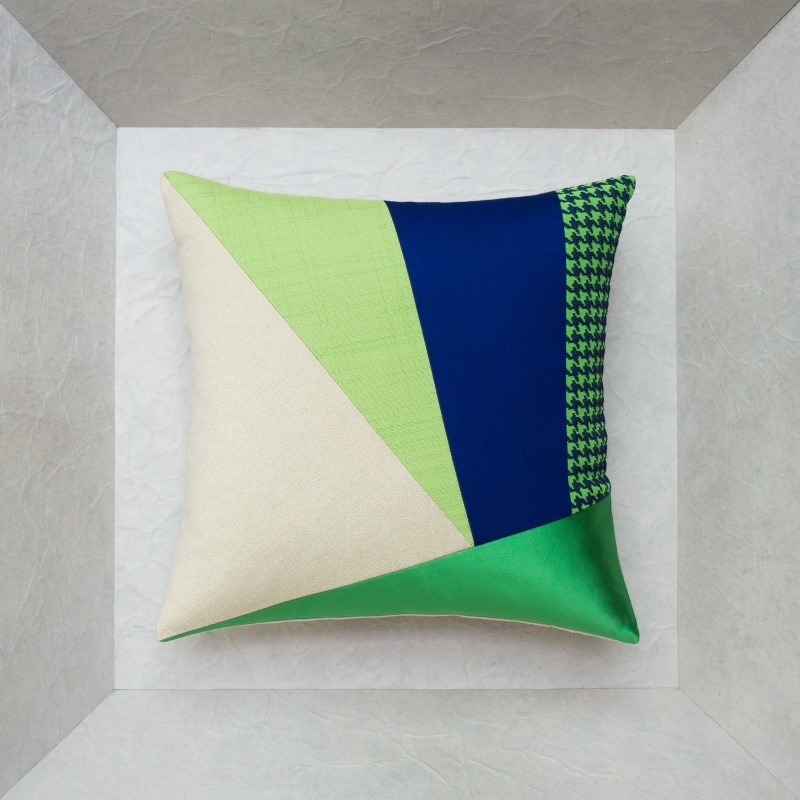 These cushions with tempered, traditional and modern shades of green and blue and distinctive geometric lines will add a soothing touch to your interior. 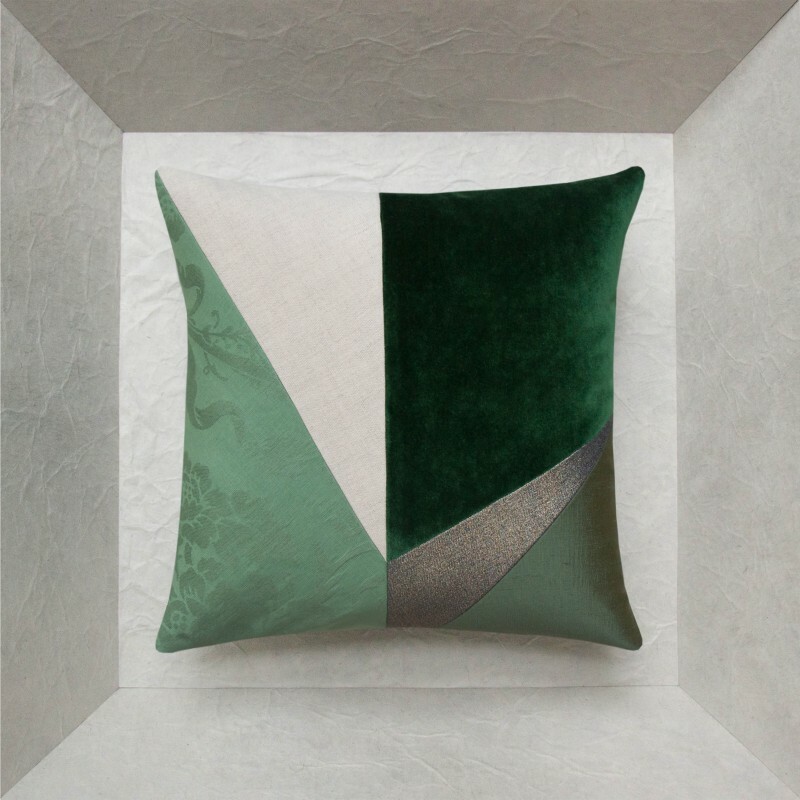 You will have no trouble combining them with solid colored cushions on a classic or modern sofa, adding an original, fantasy look to any setting. 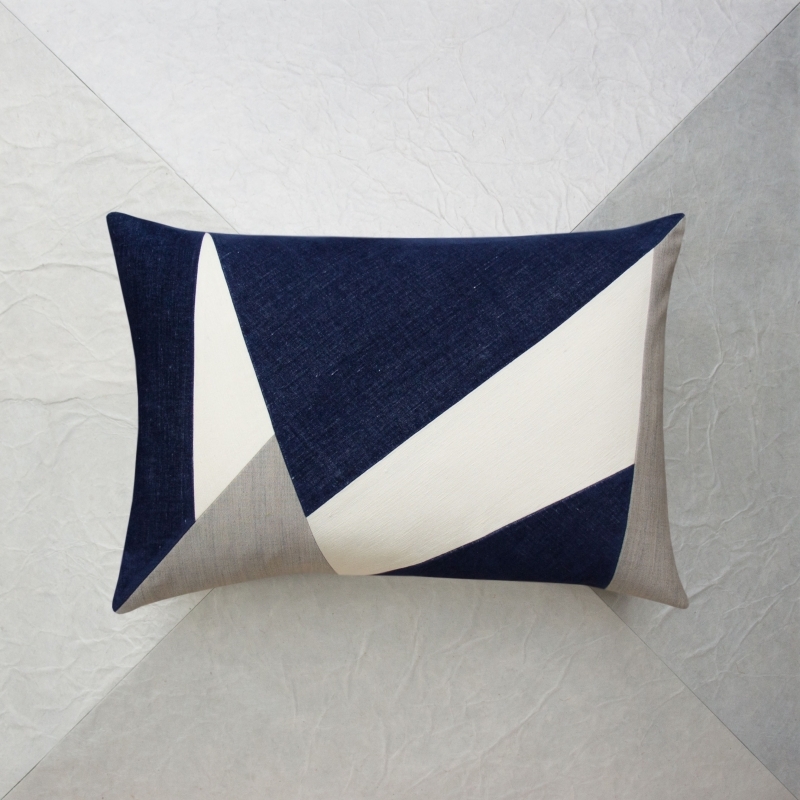 Create depth and dynamics for your sofa or bed by combining different formats. 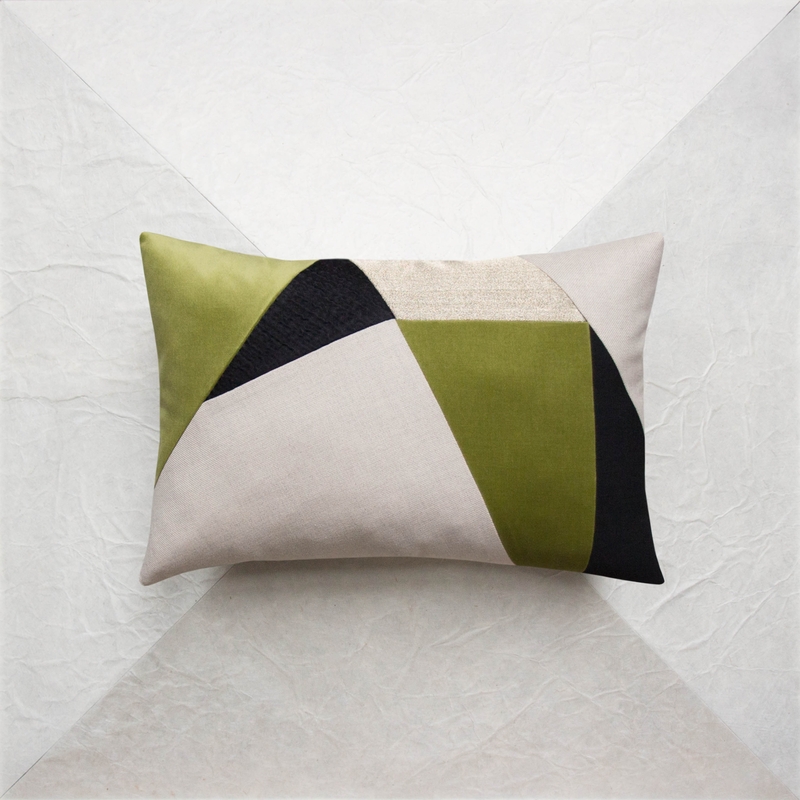 45x45 and 40x40 formats go particularly well with 30x45 rectangular cushions. 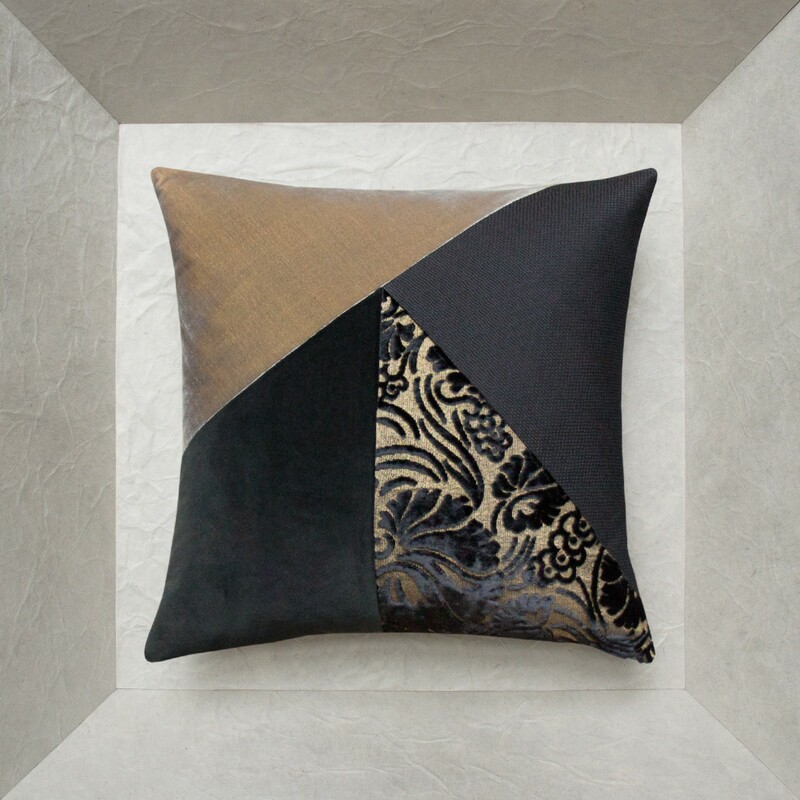 You are sure to find the model that you need among all of these limited series or unique cushions to enhance your interior and add the ultimate touch of color to your interior ambiance. 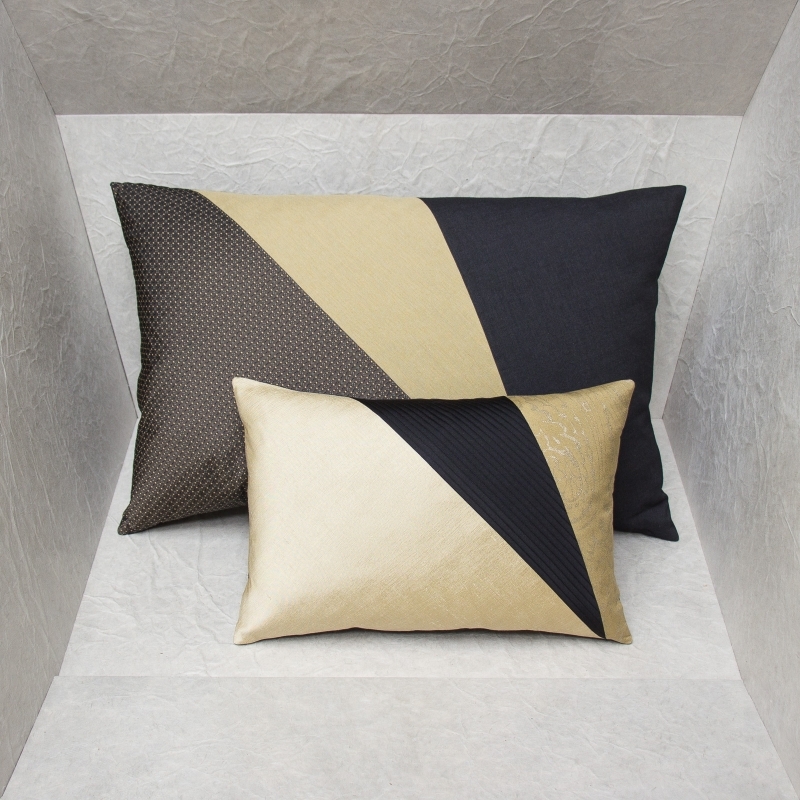 Luminosity and contrast make these cushions original and different, brightening interiors and adding dynamics to living rooms and bedrooms. All of these designer models are perfect illustrations of made in France craftsmanship with their trendy graphics and modern designs. 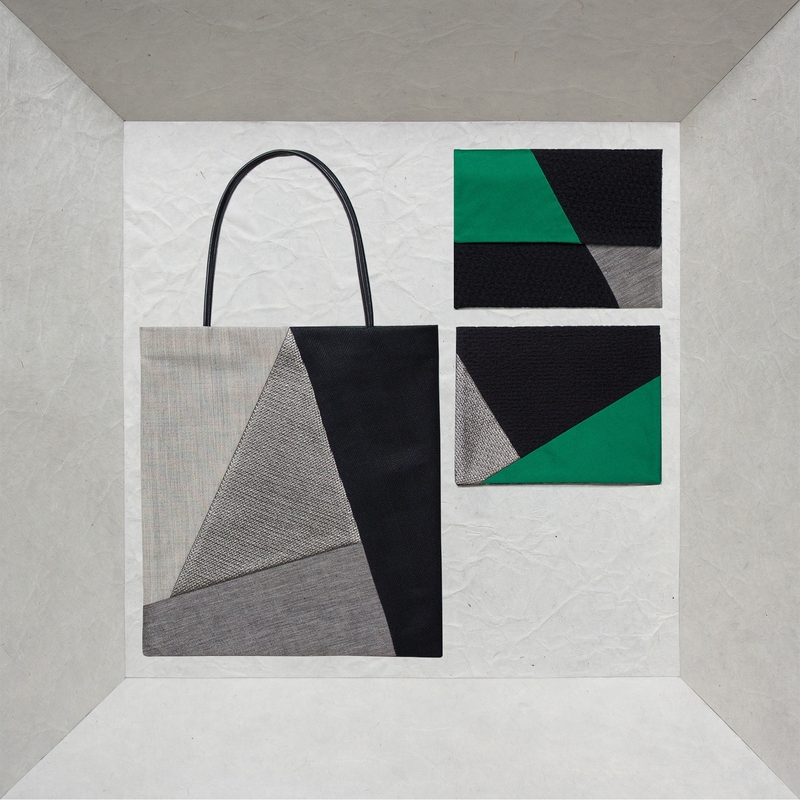 Reach for luxury in a square or rectangular format: with the added bonus of quality, style and comfort. 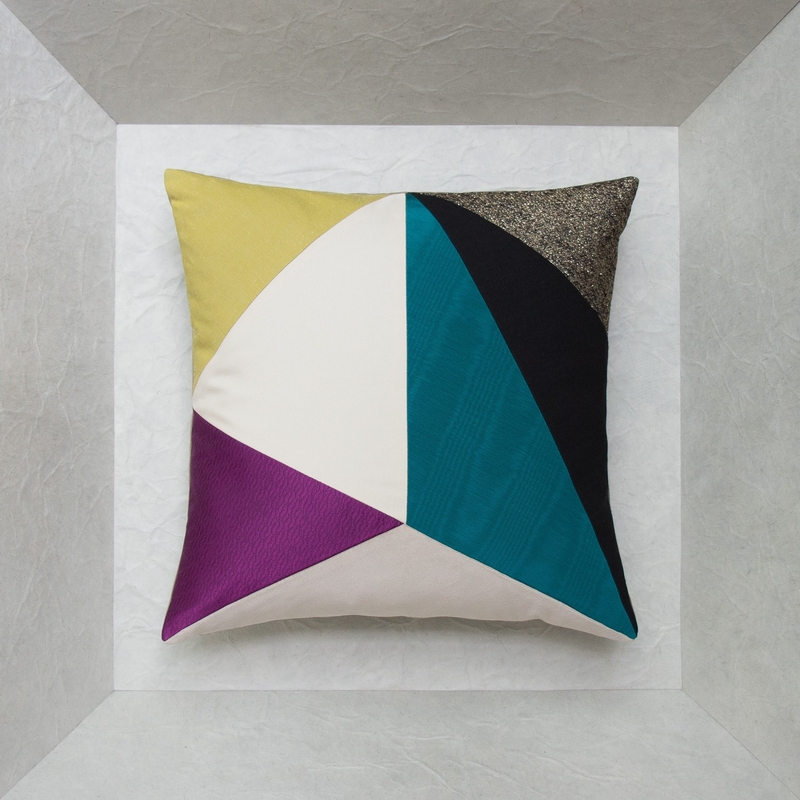 Pigment is a collection of several sizes cushions with original graphics and sophisticated design. 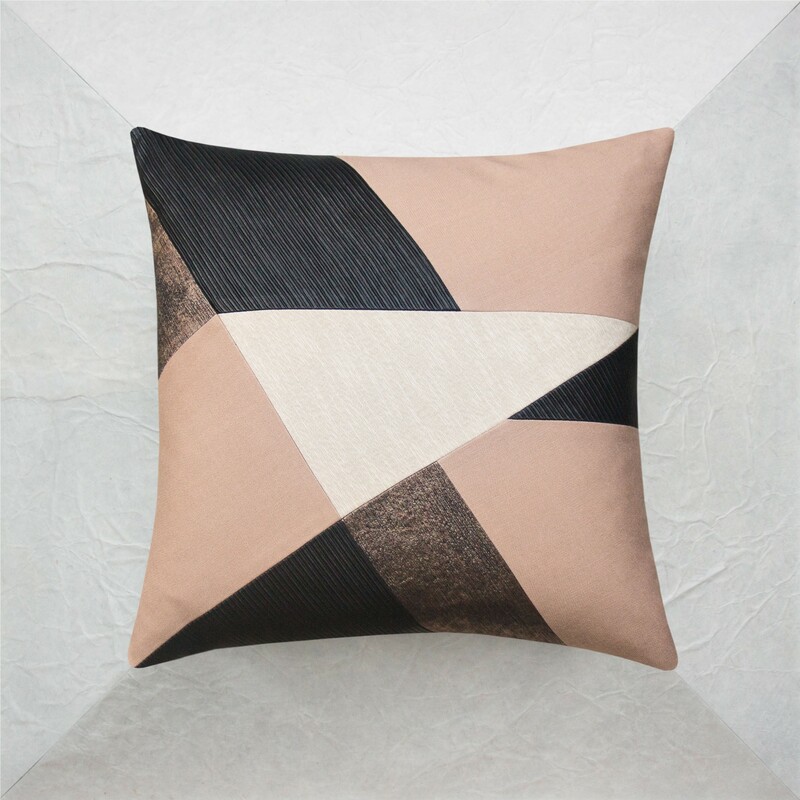 Simple, subtle fabric and color combinations make it easy to mix and match these cushions as desired with larger models from other Collections, or they can also stand alone in an armchair or in pairs on a sofa. 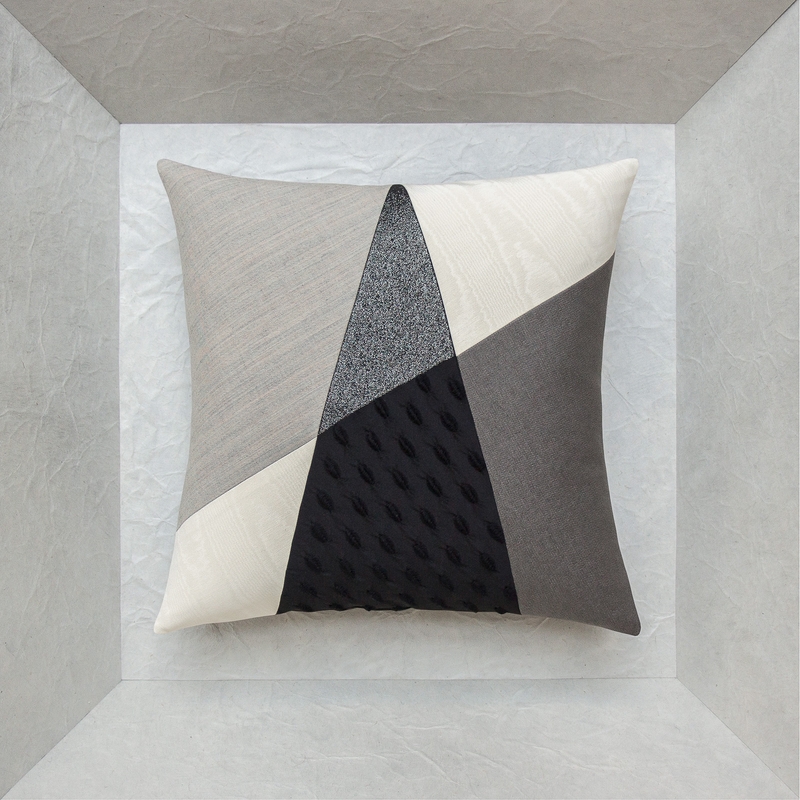 An intuitive, creative approach was used to design this intentionally elegant series of original cushions. Each piece is unique with renewed creativity that prepares the following piece. 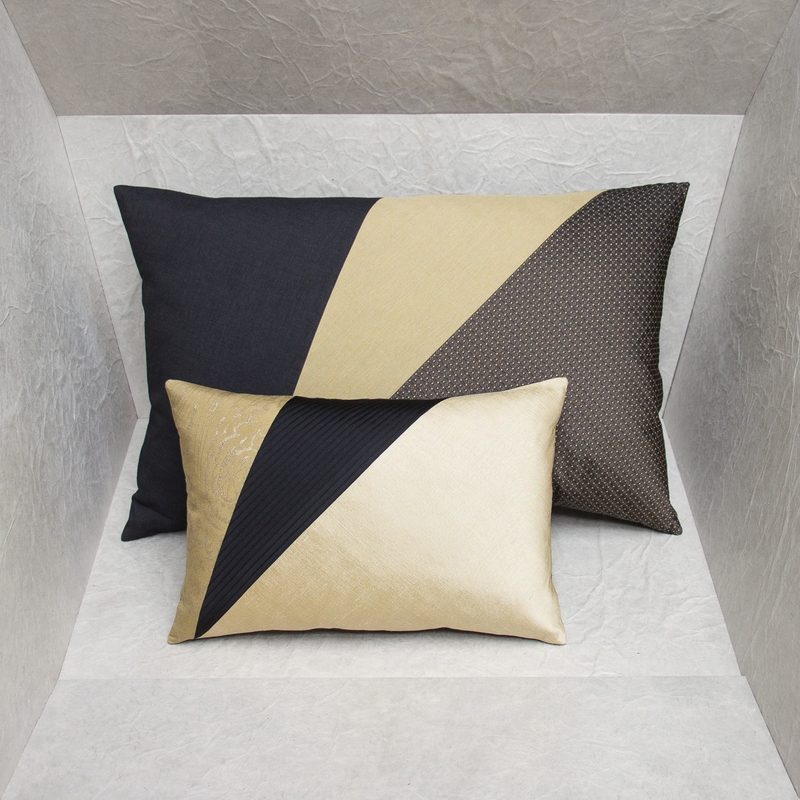 The original graphic design gives this series of haute couture cushions a surprisingly stylish, modern, pictorial look. 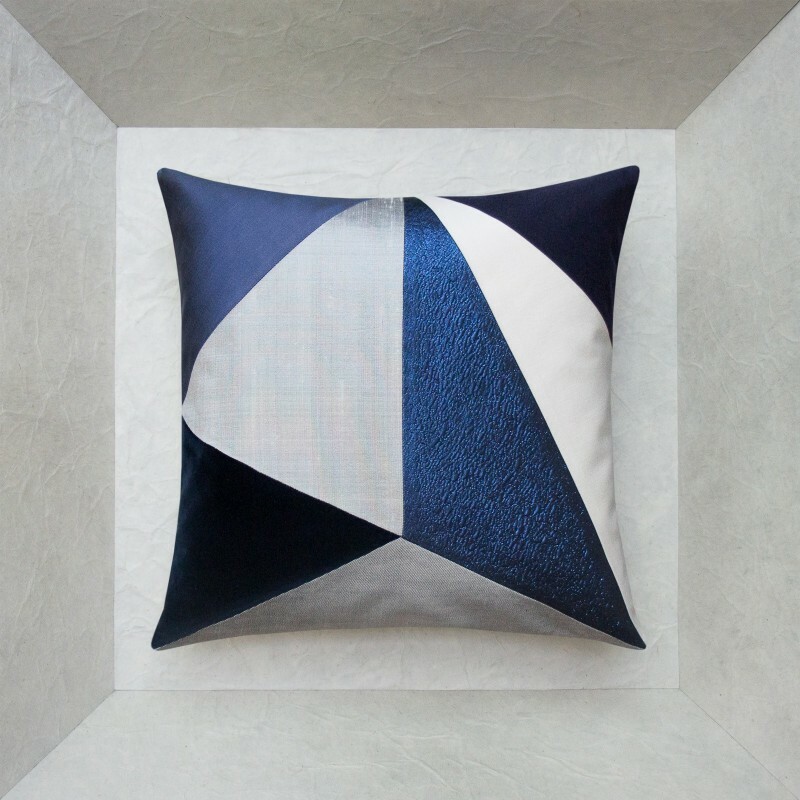 They were designed as true artworks without any common characteristics, blending elegance and originality through combinations of materials and complex geometric patterns. 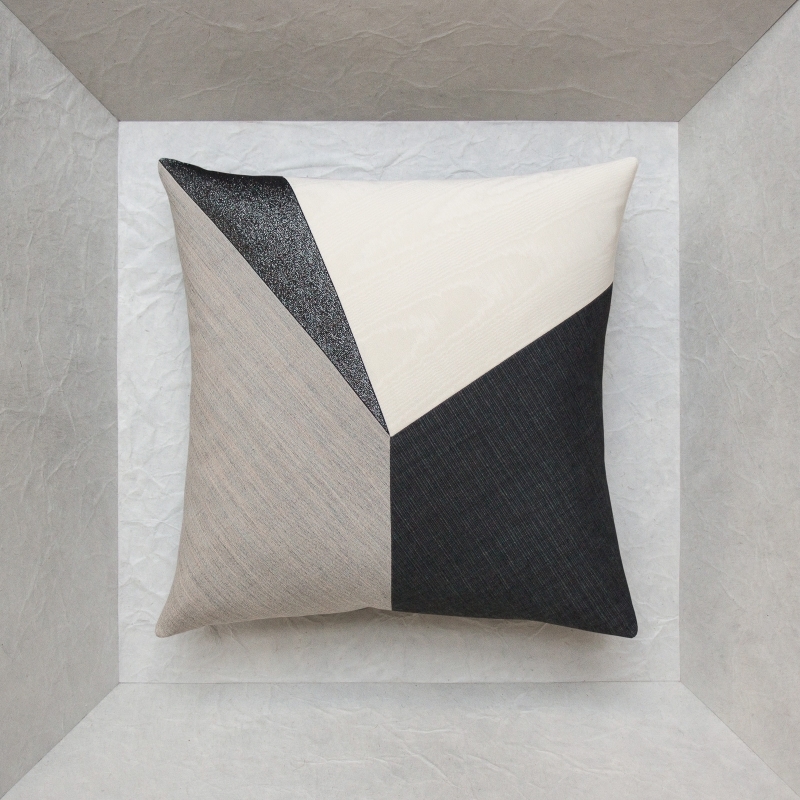 We have created a range of cushions in a uniform palette of colors that combines greys, natural colors and blacks to add an elegant, soothing ambiance to your interior. 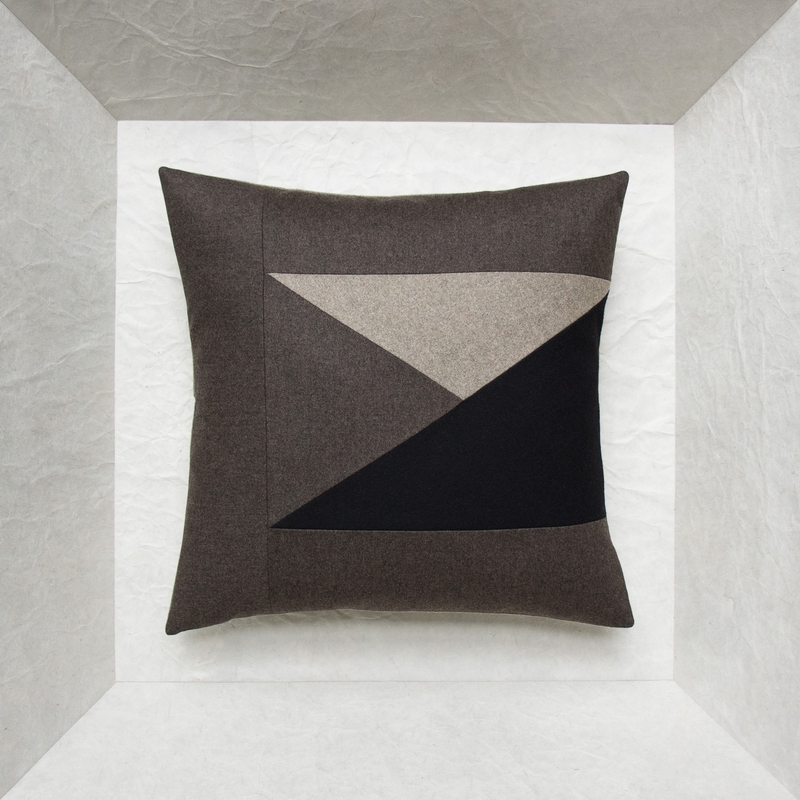 Sharp geometric shapes add contrast for discreet, subtle luxury. 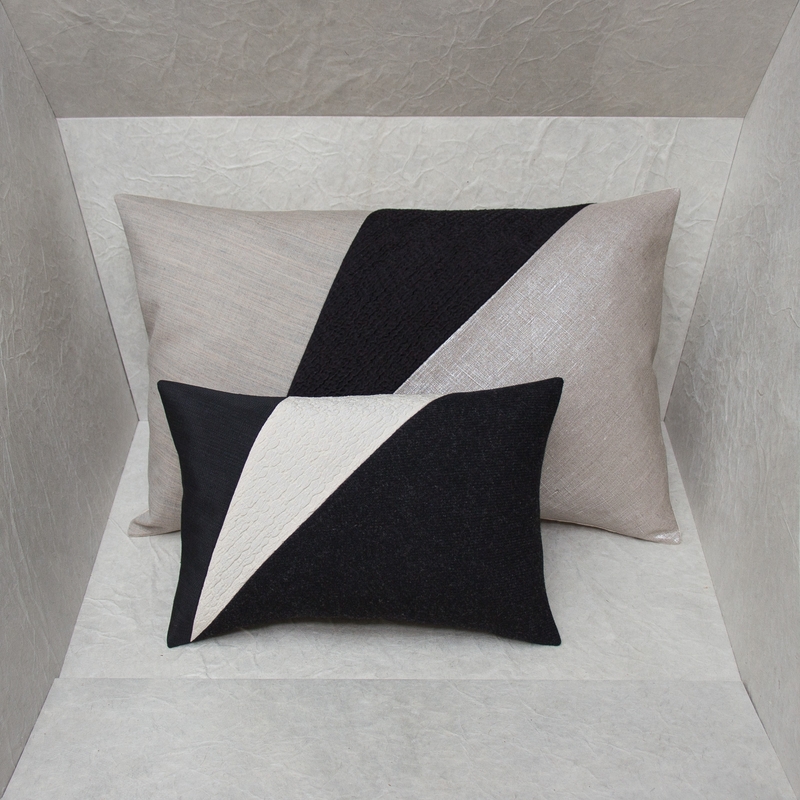 No need for colors to create distinctive contrasts; fabrics and weaves add depth to the cushions and always amaze as the light changes throughout the day. 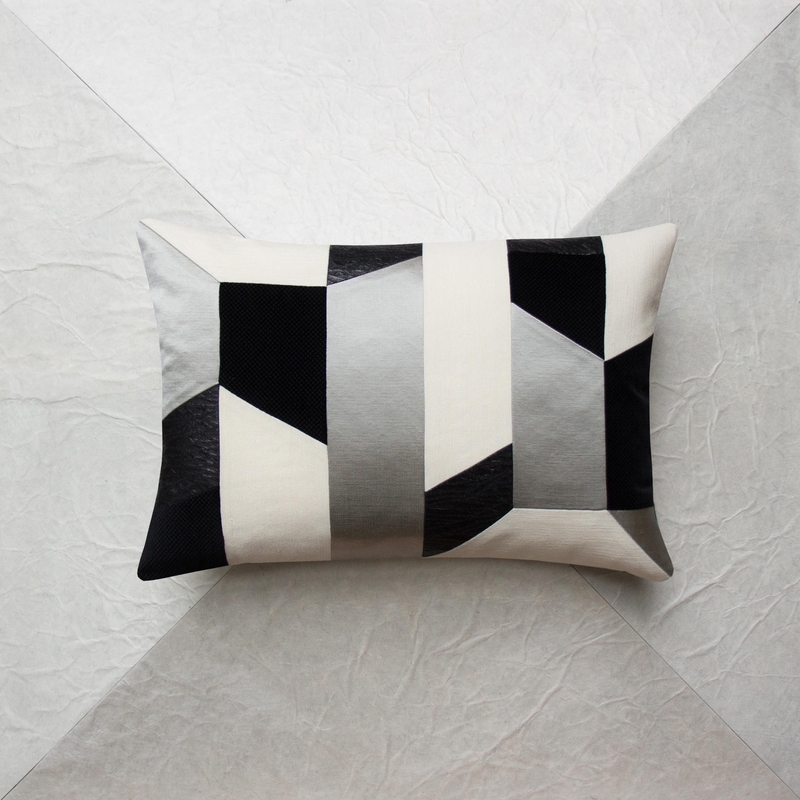 Dominant black and white add an original touch to interiors and contribute to creating elegant, controlled ambiances. 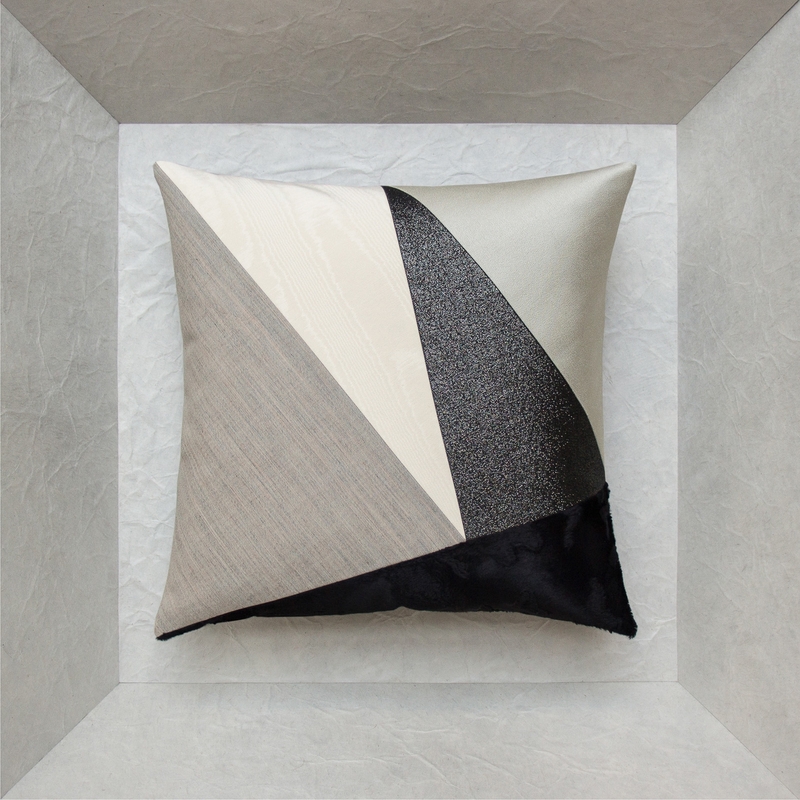 Their neutral look permits tasteful combinations with solid color cushions as well as with more colorful ranges. 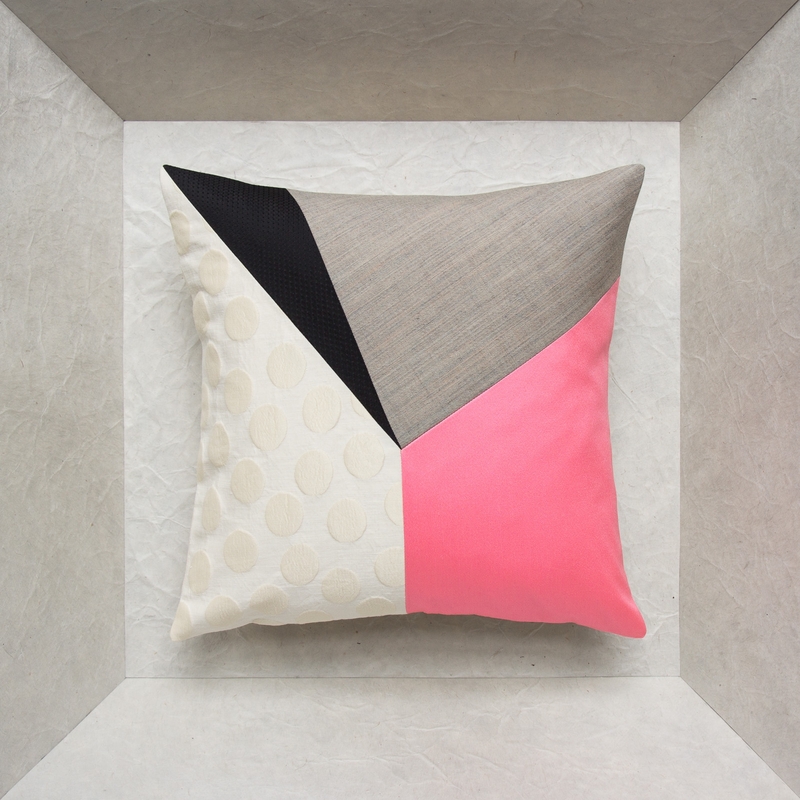 Sérénité, a range of modern, comfortable, soothing cushions. 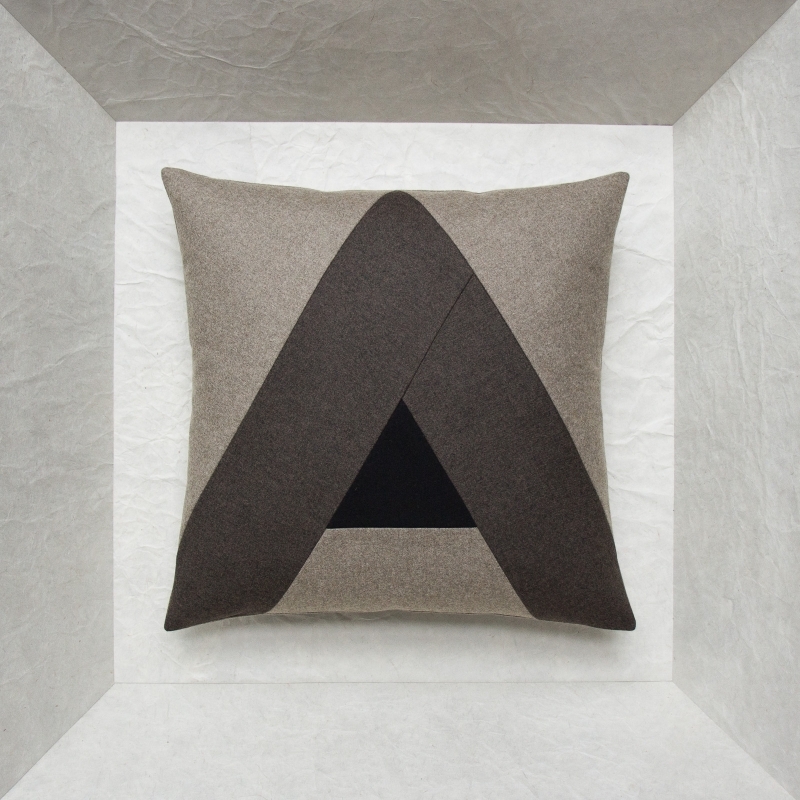 A geometric reinterpretation of the alphabet that brings math and the French language together. Their fantasy reminds us of the good old days when we played hooky from school and their comfort invites us to take a nap... A beautiful collection of 6 vowels and 20 consonants to express your interior messages ! 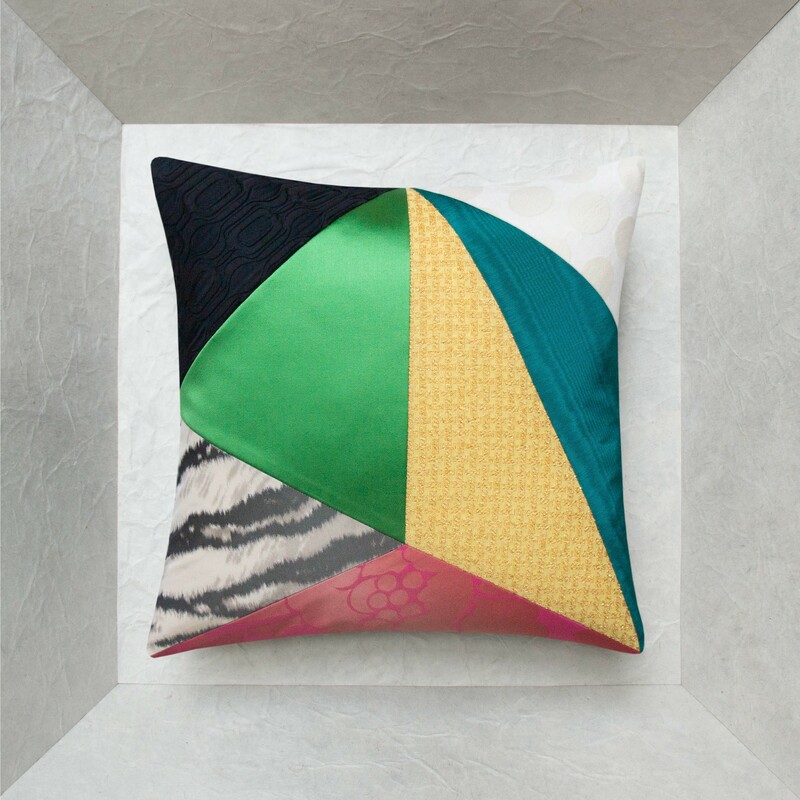 Each of these squared cushions are made of 7 different pieces of fabric. 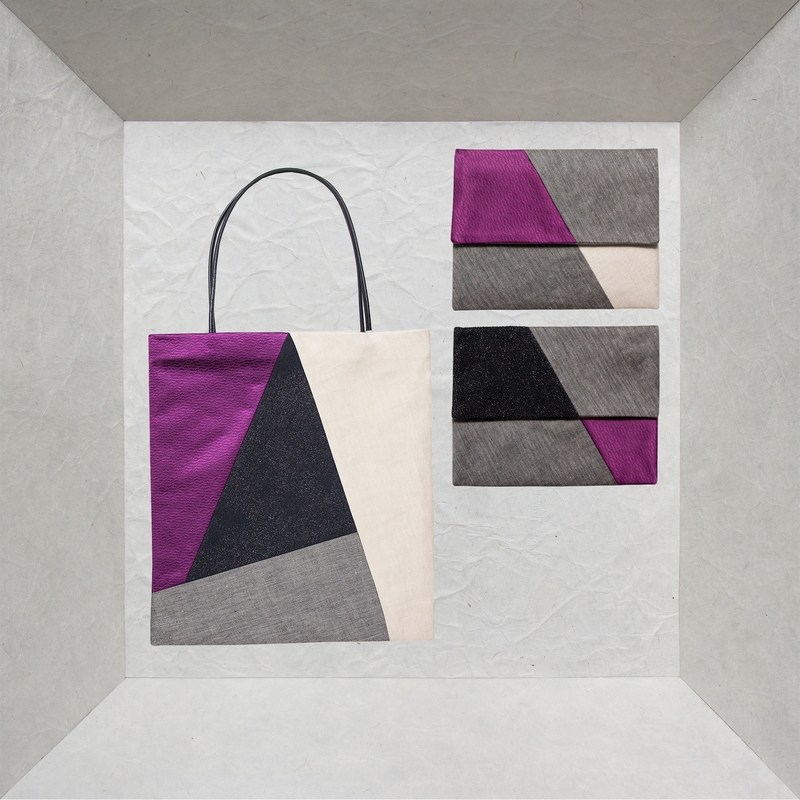 They all have the same pattern of geometric shapes that are made of 7 different fabrics. 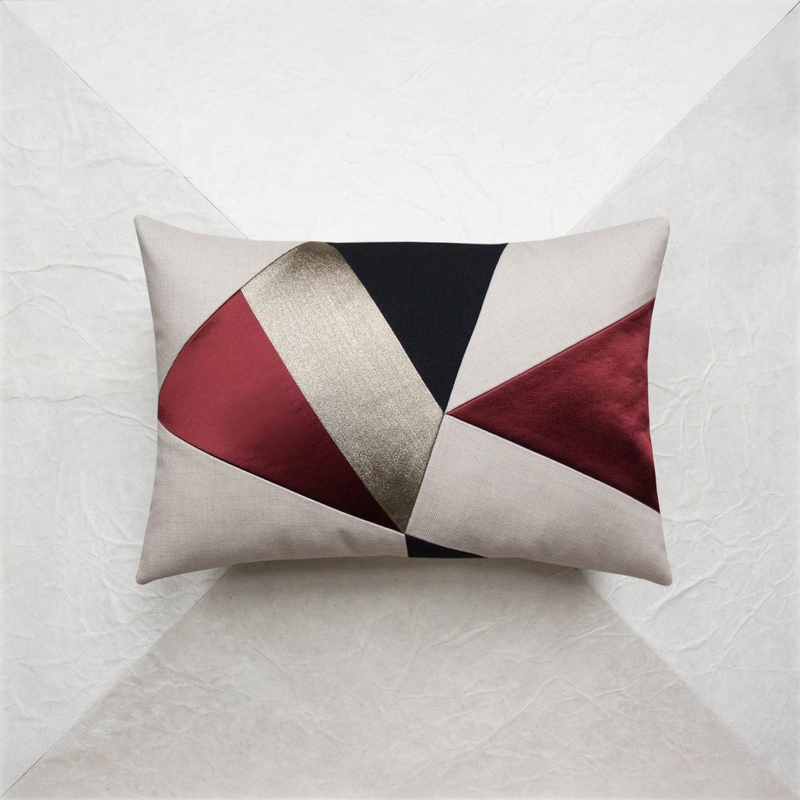 That means 7 unique and complementary cushions that you never get tired of, day after day, week after week... Like all of Maison Popineau's collections, the cushions have the House's exceptional, original finishing on the back with dyed leather tabs and a hand-tied ribbon. 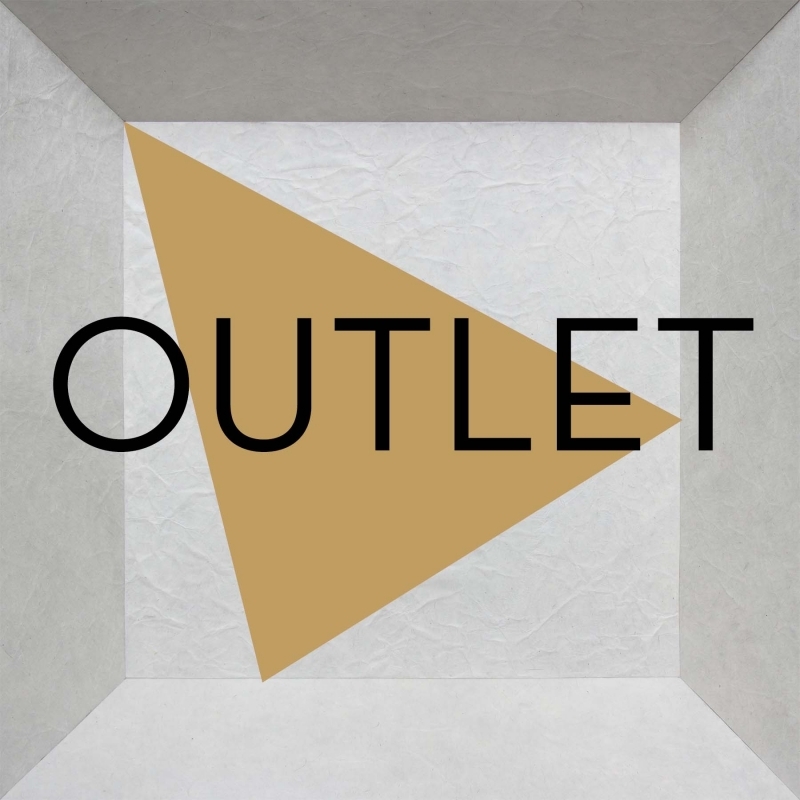 Welcome to Maison Popineau's OUTLET / End of Series page. You will find recent, original models that are called to be renewed. That is why we offer them at very attractive prices to reduce our stocks to a minimum in order to constantly offer new models in our Collections. 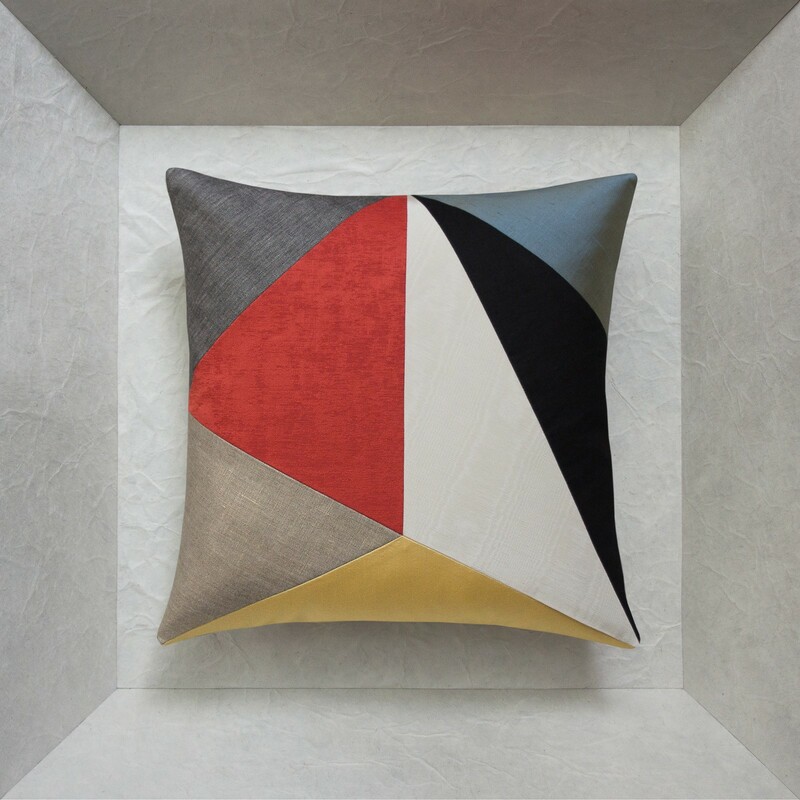 Take advantage of our offer to complete or start your Collection of elegant, original designer cushions to embellish your living room on sofas or armchairs, your bedroom or your office. 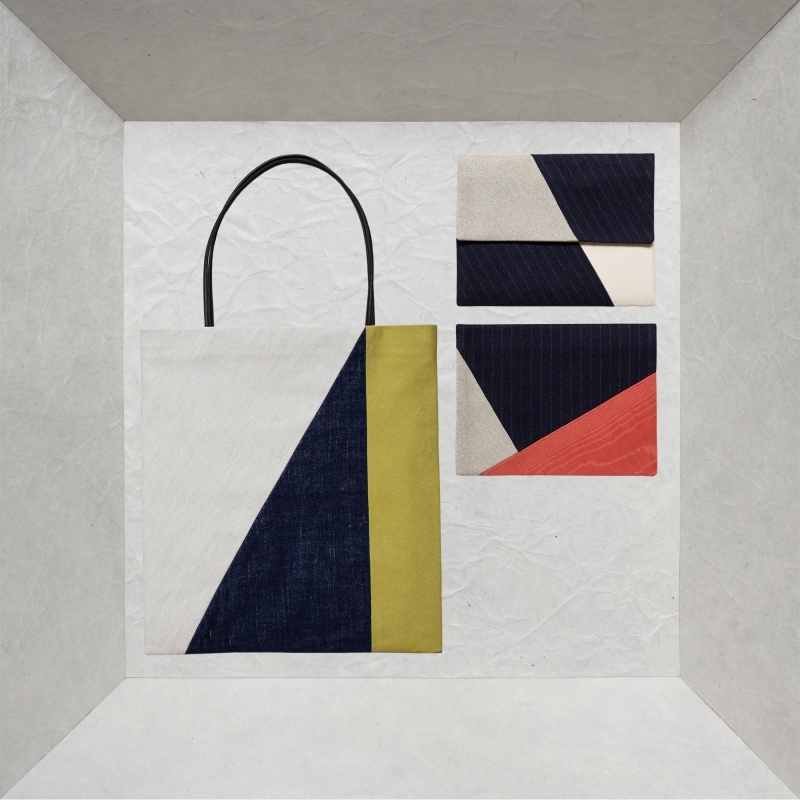 Mix and match shades and fabrics as you like, with bold, original combinations or models with the same colors. 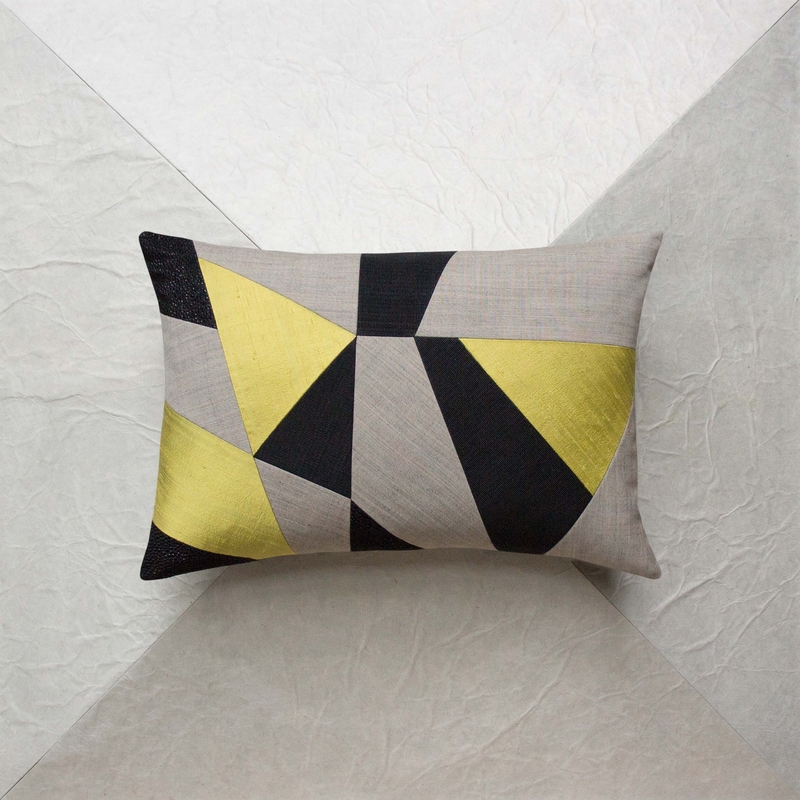 Don't be afraid to mix and match different sizes as well. 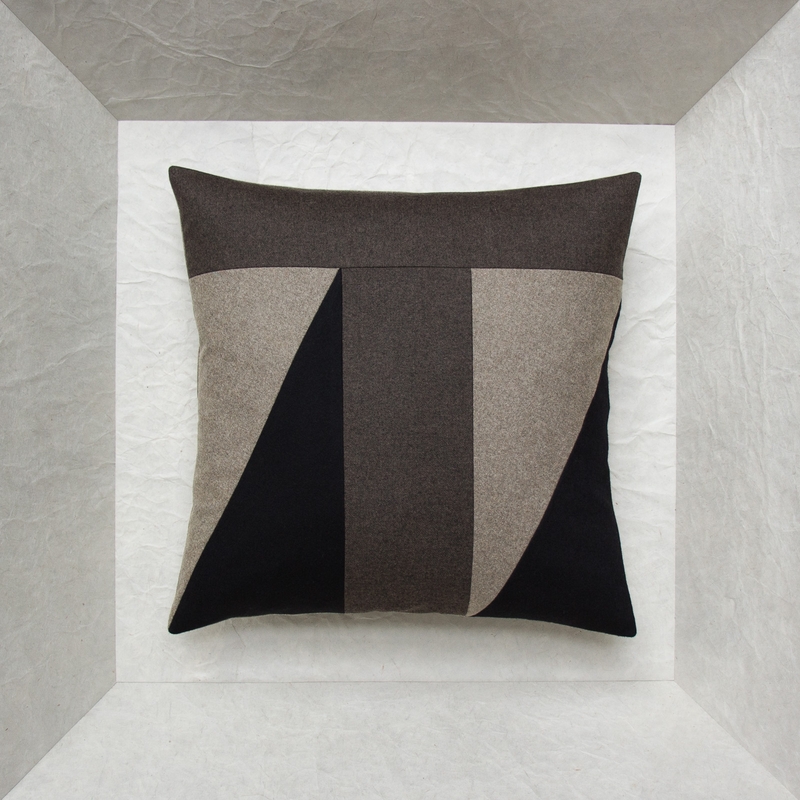 For example, combine 45x45 with 30x45 cushions, inserting a 40x40 between the two. Let your imagination run free to treat yourself or give as a gift. 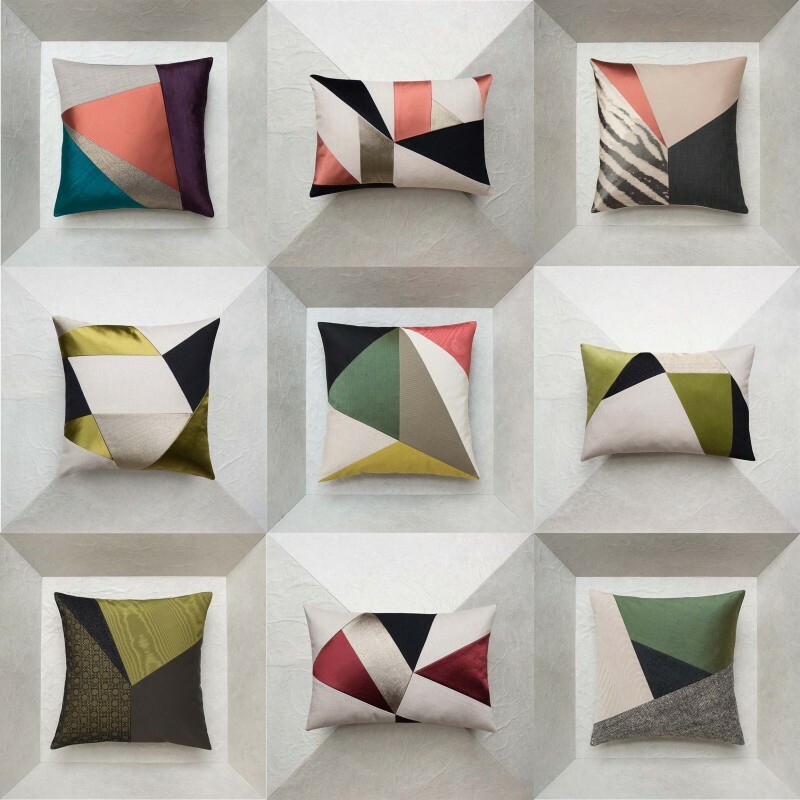 Directement inspirée de l’œil du cyclone, cette Collection de coussins design est construite sur la base d’un assemblage de 3 tissus différents articulés autour d’une 4ème pièce centrale qui vous regarde comme l’œil au milieu d’une figure … géométrique. Seuls ou associés par paires, ils apportent à votre intérieur une dimension moderne et design et donne un nouveau regard à votre intérieur. A contempler droit dans les yeux !